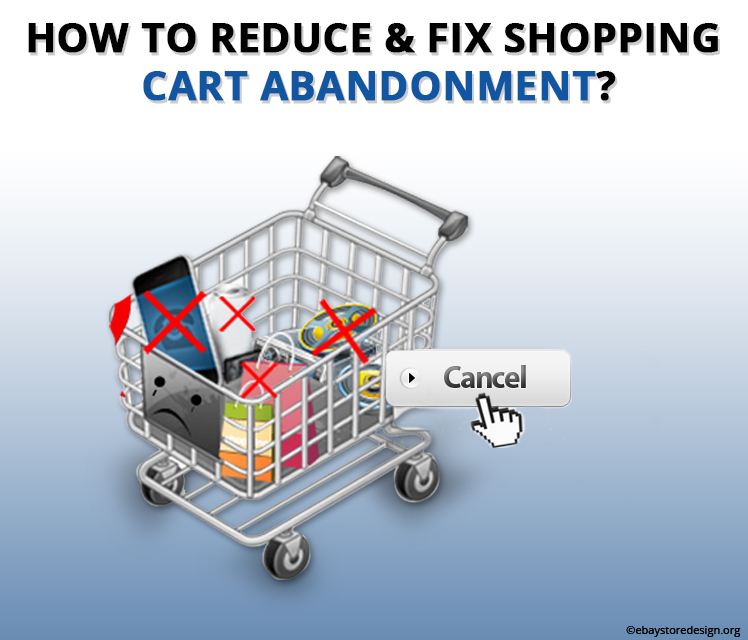 How to Reduce & Fix Shopping cart Abandonment? Shopping Cart Abandonment in simple terms means that your buyer has dropped from purchasing your product for unknown reasons. Well, what are these unknown reasons & how to fix them? Let’s see. In this blog, you will read about some interesting statistics of cart abandonment & tips on reducing it. Let us get started. The ratio of shopping cart abandonment for online sellers is 65% to 80%! They are willing to buy but don’t get enough options to pay. NO discounts are offered………& so on. Hence to decrease the shopping cart abandon rate you need to focus on refurbishing the checkout process. Below there are certain provisions by which you can improve your check out process. A responsive site will shed negative user experience for your buyers, it will have smooth navigation, the images will be clearly displayed, and over all the buyer will feel secured while shopping from your site. Limit your checkout process with only 5 steps & not more than that. If possible number the checkout process steps so that progress of the same is monitored by buyers. Along with credit card & PayPal options provide your buyers with alternate payment options like bank transfers, cheques, western union money transfer etc. this must be comfortable for sellers too. Everyone is tired of sign up processes online hence provide them to purchase the product without any kind of registration. Guest checkout is the best option. Keep user interface easy by allowing buyers to modify their orders. Check the load speed of your site pages. If they are slow, update them with high-speed load time immediately. This way you can significantly reduce the shopping cart abandonment rates. Finally have your eCommerce website designed by professionals because they know what is going to work & what not. If you are planning for the same do contact us. Request a FREE quote for any kind of Magento eCommerce solutions from our expert team of Magento website developers. The post How to Reduce & Fix Shopping cart Abandonment? appeared first on ebay-blog.